One of the distinct advantages about Bermuda is that we are a relatively small and interconnected community, with almost everyone related by birth, marriage, or some other community ties. With those ties, we tend to assist each other in some way, shape or form. Today we would like to take a moment to thank a few entities that have played a major part in assisting with the ongoing Parish Pride Project going on in Devonshire and Smith’s parishes. These entities have proven to be invaluable partners in our quest to keep our parishes well maintained, assisting seniors and helping to train young persons in various skill sets such as landscaping and painting. The ongoing Parish Pride clean-up will continue this Saturday, February 9, 2019. Clean-up will commence from 9am -12 noon with a focus on clearing the area located to the north of the Barn, areas in and around Green Acres and the painting of a wall belonging to a senior in the area. If you wish to join or know of a young person in need of community hours for school, please feel free to meet us at Green Acres anytime between 9am – 12 noon. Water and snacks will be provided. For those unaware, as part of our mandate, this area has been identified and is anticipated to be utilized as a common park area for both Devonshire residents and employees of MWI. Additionally, at the latter part of this month, efforts will be concentrated on replacing wooden railings in and around the parish. In an effort to be able to purchase needed items such as; paint, tools and small hardware we will be doing a series of fundraisers over the next few months. 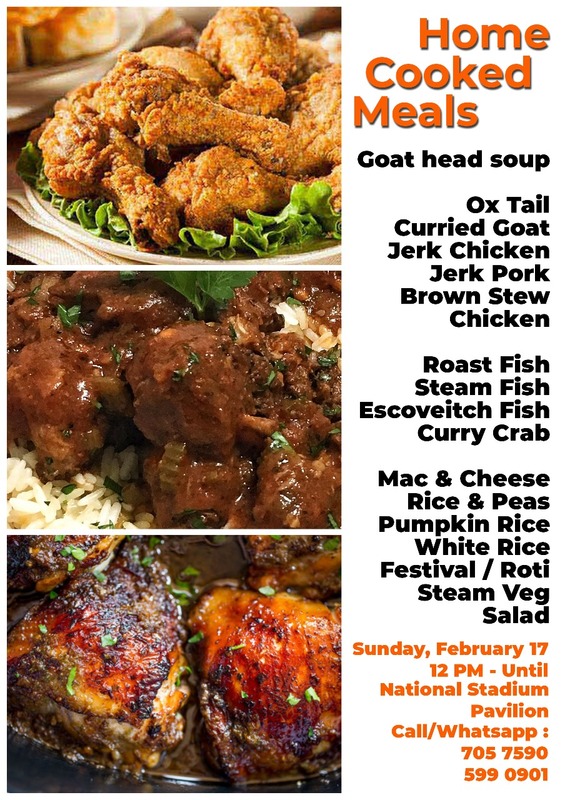 Starting at 12 noon next week, Sunday, February 17th, we will be holding a fundraising dinner at the National Stadium Pavilion on Roberts Avenue. The Pavilion is located just to the North of the National Swimming Pool. Thanks in advance for your support of our community endeavours. Chris Famous: Can You Donate For The Dare? Is it just me or has the tone and content of this guy’s opinion pieces been very different now that the Pee El Pee are gov’t? Not a word about the $1.2m paid to a former Premier, talked about tax on rent, sugar tax, increase in healthcare, firing of the healthcare CEO or any of the other failings of the Pee El Pee?!? My, what a difference a gov’t makes!! Hahahaha!! Famous talks trash as usual! This guy is a clown!